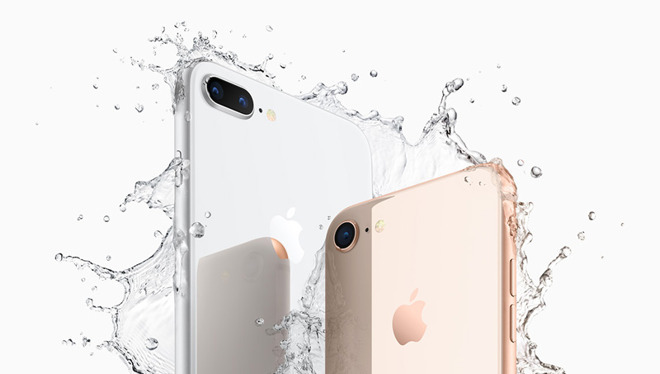 That figure based on estimates of iPhones sold between July 2017 and last fall, and a fee of $1.40 per infringing device, according to Patrick Kennedy, an economist and managing director at Torrey Partners, reports CNET. Qualcomm is suing over Apple's use of Intel modems, which are allegedly violating multiple power-related patents. Kennedy was cross-examined by an Apple lawyer who argued he was exaggerating the value of patented technology. It's not clear if Apple's team raised the issue of the patents' validity or cast doubt on infringement. Damages of $31 million is paltry next to the billions of dollars Apple reaps from iPhone sales every quarter. It could potentially force Apple to switch to different modems however, or even go back to using Qualcomm, with which it was in a years-long exclusivity agreement until 2016. The company began using Intel modems in some iPhone 7 models, and is now Intel-only. A pro-Qualcomm ruling could also impact other ongoing cases, such as the lawsuit Apple launched in January 2017, finally set to go to trial next month. Apple accused Qualcomm of withholding nearly $1 billion in rebates as retaliation for cooperating with antitrust investigators, and decried its business practices in general. The chipmaker is known to pressure parts buyers into signing patent licenses at the same time. That was just the beginning of a range of suits and countersuits, as well as government investigations of Qualcomm, in some cases resulting in millions of dollars in fines. A trial brought by the U.S. Federal Trade Commission with Apple's help concluded in January. On Thursday Apple acknowledged a blow in the power patent case, since Arjuna Siva -- a former Apple engineer -- suddenly dropped out of the trial as a witness. An Apple lawyer even accused Qualcomm of witness tampering, given that Siva's new lawyer is a former partner of Quinn Emanuel, the firm representing Qualcomm. Siva originally agreed to testify under the condition that he be named a co-inventor for one of the contested patents. Quinn Emanuel's David Nelson called the charge a "personal attack." It would be nice to see Qualcomm consumed by locusts. The article’s right - this is more about the implications of the ruling than the ruling itself. This is seems similar to QC’s operating model as a whole. It seems that if intel makes a chip that uses QC’s patents, intel should be the one responsible for the royalties and any other patent-related issues. Is QC then going to expect consumers to pay royalties? Using their logic they could. To quote an old commercial, "Look! It's the Goodrich blimp!" at the starting line of a race. Misdirection and obfuscation. I agree that Qualcom should be looking at Intel if they believe Intel is infringing their IP. It emphasizes Qualcom is going after the deepest pockets, not the supposed perpetrators of IP injustice. Maybe so, but why is Apple being sued for using Intel modems that supposedly violate its patents? Shouldn't Intel be the ones being sued? They're the ones who made the damn things, not Apple. Apple is just choosing to use those modems. Qualcomm needs money to continue fight court battle. Apple should devote rsources to 6G or 10G cellular tech.